You've recharged your batteries and your body is ready for a new challenge. Are you sure? 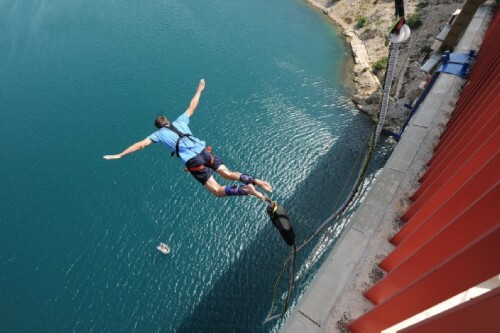 We offer you a jump from the highest bungee jumping spot in Croatia – the Maslenica Bridge. Forget all that you've experienced so far and jump for an unforgettable adrenaline experience! 56 meters of flight toward the blue sea are ahead of you, and your adventure can be professionally recorded and remembered for the rest of your life. 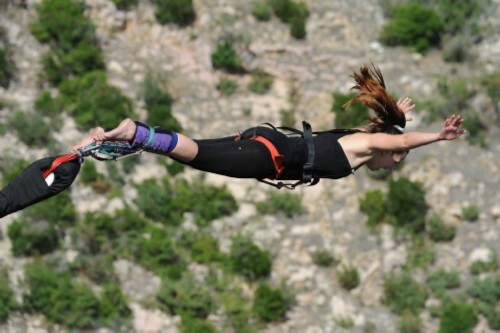 Although we can guarantee that you will never forget what you experience during the 56-meter fall. The recording will serve to prove to others how brave you are! We assure you, it will be watched multiple times because the experience of jumping from the old Maslenica bridge is surreal! After the jump, the safe and repeatedly tested equipment will stop you at 5 meters above the sea where the boat that takes you to the shore will be waiting for you, and after you've picked up your jaw from the floor, we return you to Arcadia where you can continue your rest. You don't have to worry about anything, just spread your arms and fly freely! This jump will be the best adrenaline souvenir you could find! We wish you a happy flight!